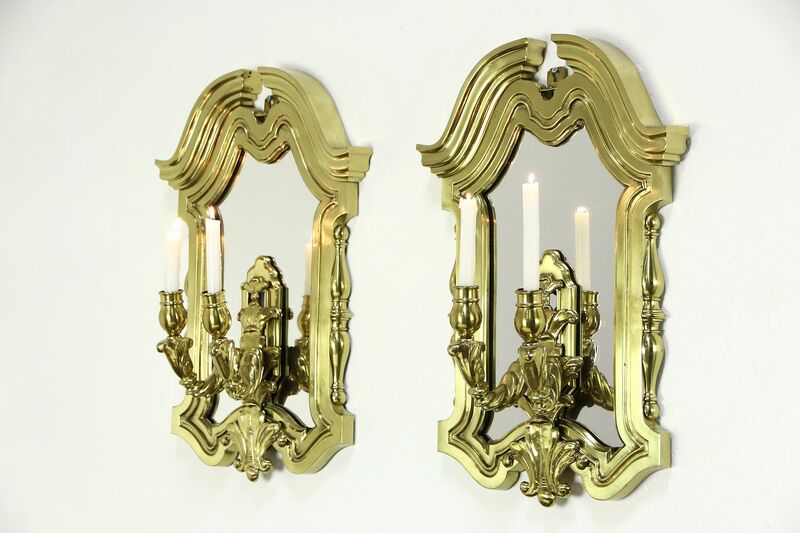 A very grand pair of double wall sconces were cast of solid brass with mirrors about 20 years ago. Custom decorator pieces, there is no maker's signature. Very heavy weight, this architectural pair has hanging mounts. The candle holders fit 1 1/4" diameter candles, or they could be wired for electric lights if desired. These vintage sconces weigh 70 lbs. together without packaging. Size is just over 17" wide, 27" tall and projection is 9."